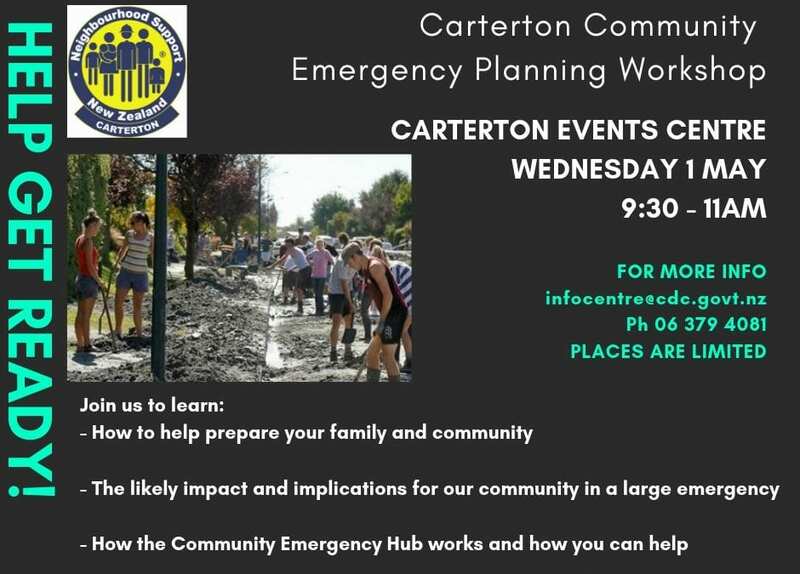 Come along to our Emergency Planning Workshop on the 1st of May. Learn some valuable skills in order to be an important part of your community in an emergency. The course is free, and the skills you will learn are sure to be worth your time. Places are limited to 30 people, so you will need to register with us by emailing infocentre@cdc.govt.nz, or calling us on 06 379 4081.